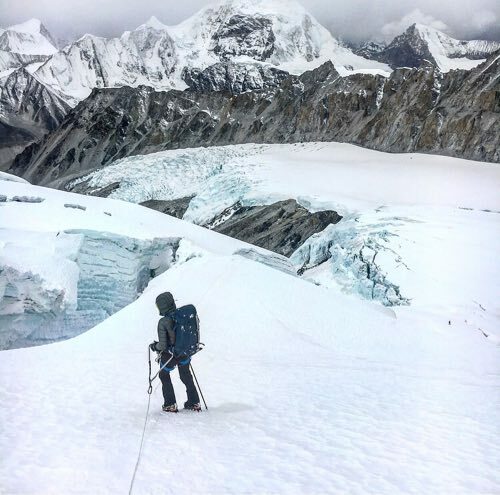 On the morning of April 30th we left Makalu’s Camp 2 at 6600m to climb towards windblown sky through crevassed steep snow slope and rock band for our final acclimatisation. Zeb Revol and Dani had a plan to take a tiny Black Diamond tent to sleep at Makalu-La. Josh and I aimed at reaching a rock band at 7,000m and then turning back for another night at C2. 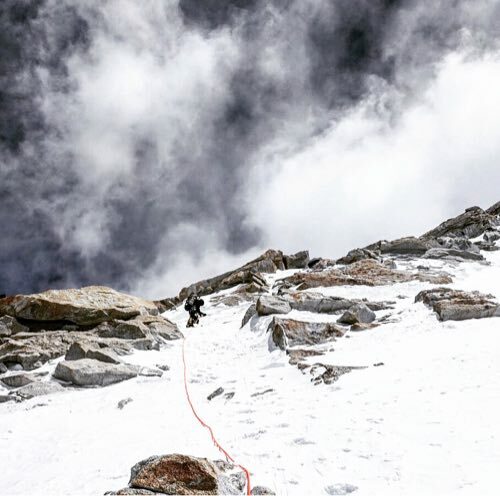 That morning with a short day in front of us we took our time to take in a beautiful snow-laden view of Everest and harsh steep south face of Lhotse, the final resting place of Jerzy Kukuschka, THE alpinist of a previous generation. When we got back to C2, we were stunned with a one-line message about the accident on the north face of Nuptse, just 15km away. Reconstructing the details of this tragic and graphic accident involving THE alpinist of our generation was surreal. Icarus gone. 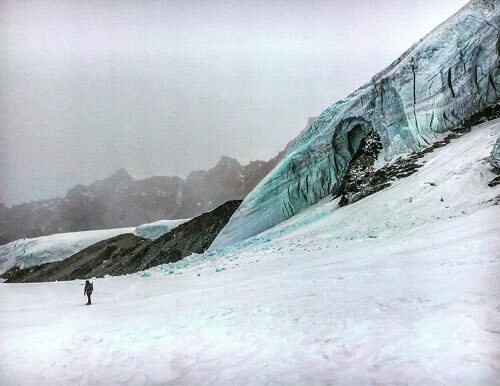 Possibly from a blow of a collapsing serac. Not due to skill but due to odds. His number came up? A close friend could have gone out with Uelli that morning but was stopped by a liaison officer. We will never know the outcome of that version of life. This morning we had to deal with an accident involving one of the younger sherpas who fell ill with cerebral oedema at C1. Luckily for him he was next to an experienced climber with a dex injection in hand and a radio to bring in an oxygen bottle. Tragedy averted by skill and reaction. These news keep it real. Sublime balanced with overwhelming power of nature. In thin air you deal with this ‘reality’ by going far. Mentally. Back to your ‘other’ life. Into the comfort zone rather than running numbers on your own odds. By celebrating birthdays and life – as we did that day with Zeb Revol – blowing candles for the number of 8,000m peaks that she may still want to climb. 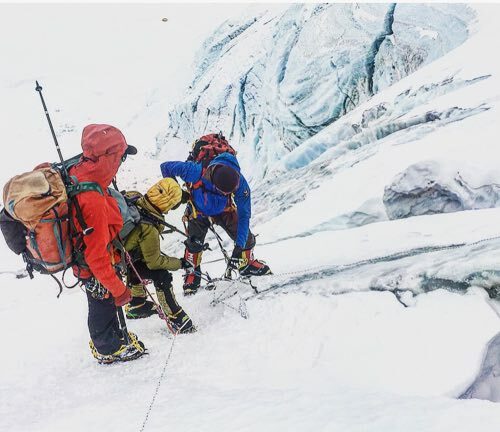 Now back at 5700m ABC we are getting ready for the final summit push. Waiting for that proverbial window. Possibly, 2 days before or 2 days after the full moon. Stressing over fixing of the final 150m of the crux pitch to Makalu-La. Reconciling to having to climb alpine-style from there to the summit. Making rules. Resting up before having to giving it all while keeping that ‘marge’.